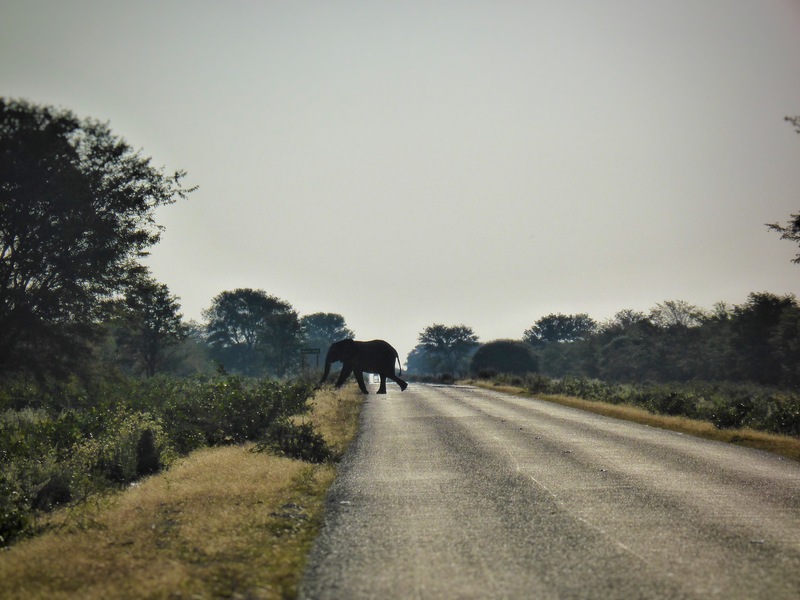 A decision to cycle through Botswana on the way home was one not to have regretted. 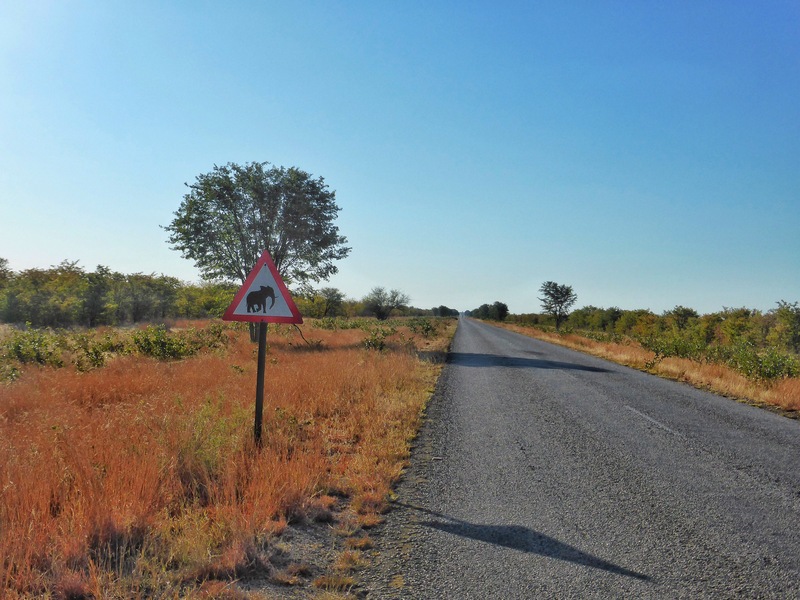 I entered Botswana through Francistown and stayed at the Woodlands stop over the first night. Anne and Michael were amazingly friendly and kindly offered me another night in one of their chalets. I then made my way through to Nata, where a friendly chap Ian and his wife took me to the bird sanctuary. This short sandy stretch to the sanctuary would have been real hard work on a bicycle. 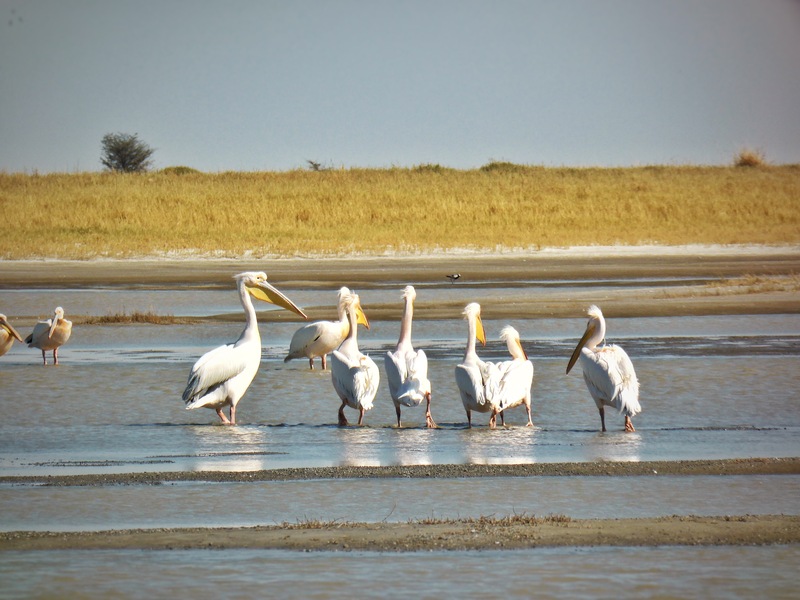 Pelicans waddle and wildebeest roam around in abundance on the plains, the flamingos only arrive later in the year, it was still quite a sight. 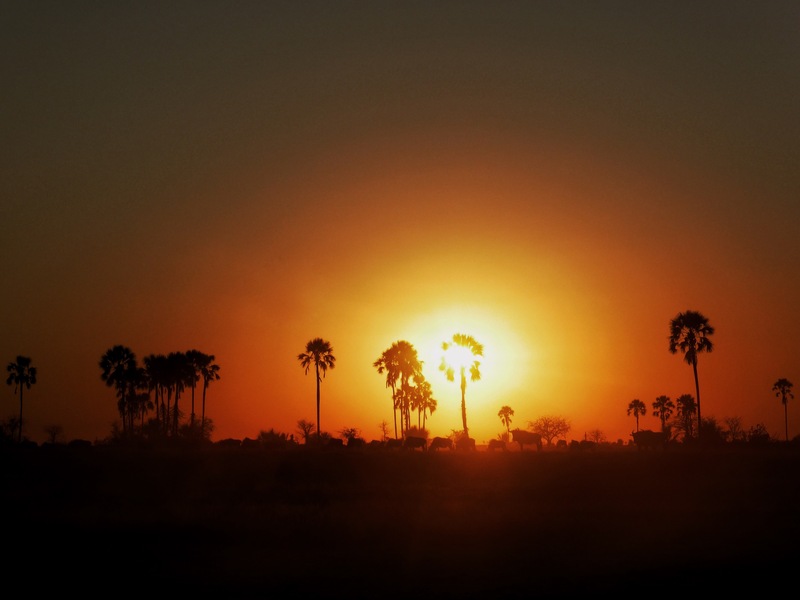 The next day I was again treated to a free night camping at Planet Baobab. I didn’t cycle more than ten kilometres the following day when I met James and John at a petrol garage whilst stocking up on some food. One of the most classic comments of the trip so far was when John the Englishman greeted me with: “Just looking at your bicycle makes me sweat”. 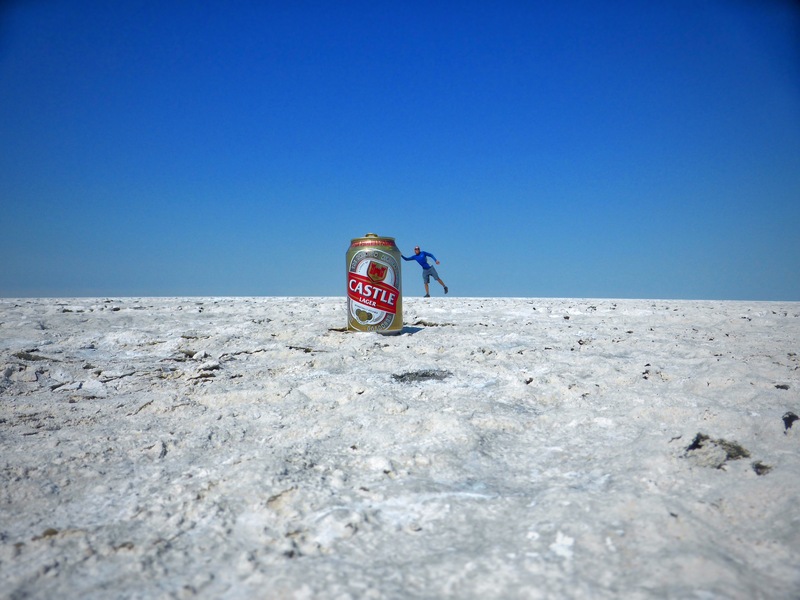 I jumped at the invitation to join them for a day visit to the salt pans. I dropped my bicycle at James’ family run Gweta Lodge. The salt pans are believed to be the size of Portugal and one can see the curvature of the earth as you look into the distance. The total silence and nothingness is quite an experience. 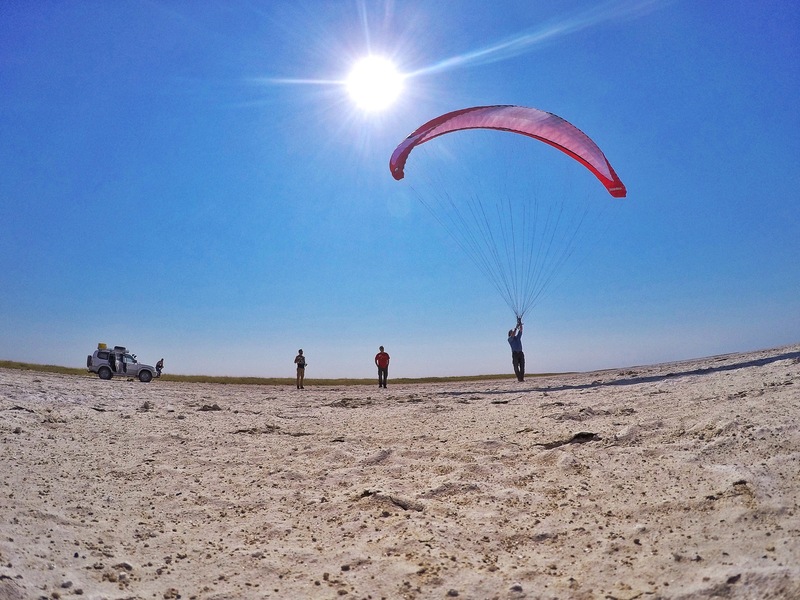 I was put up for two eventful nights in one of their chalets and was also taken to the Makgadikgadi Pans National Park where zebras, wildebeest and impala roam the plains in search of a morsel of grass. What an absolute pleasure to have met this very generous family. 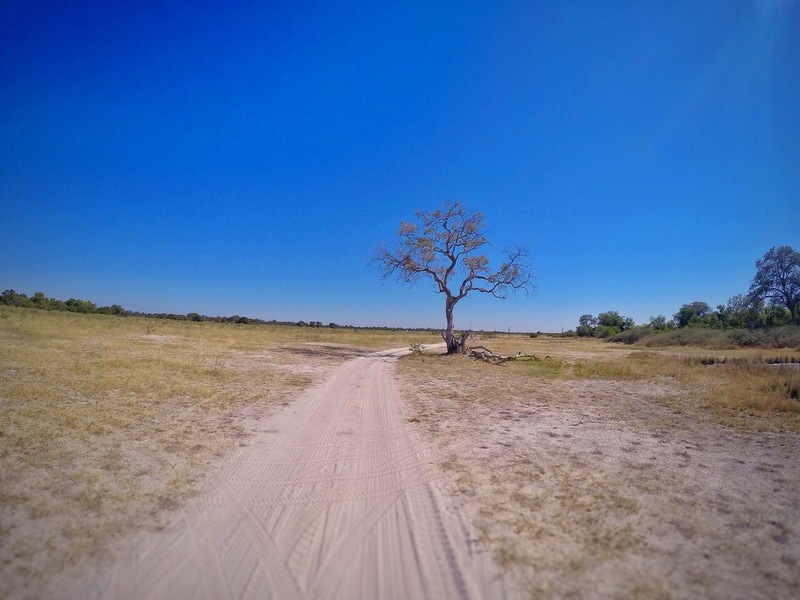 Next up was a 220km (record distance in one day for me so far) bike ride to Maun where I find the start of the Okavango Delta. I once more met up with James, John and another friend Mark at the River Lodge where we camped. 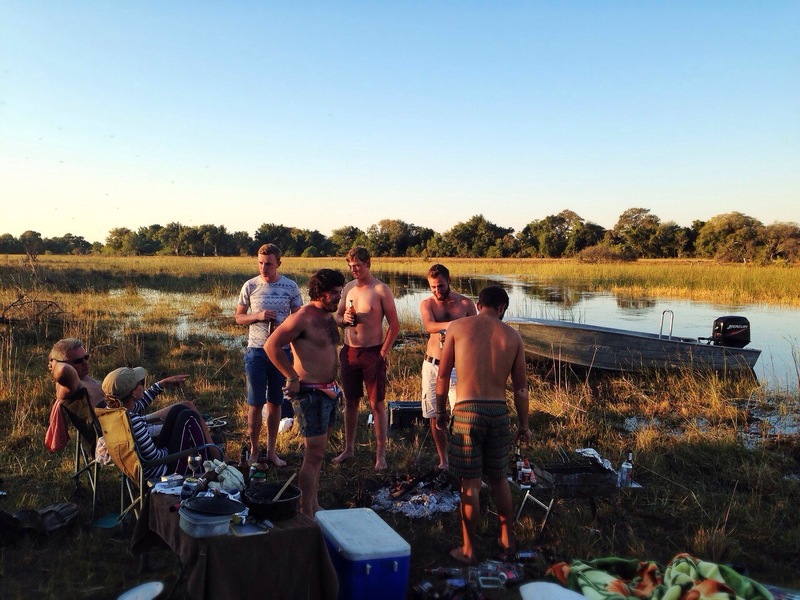 The next day was a braai on the river bank with a bit of fishing. 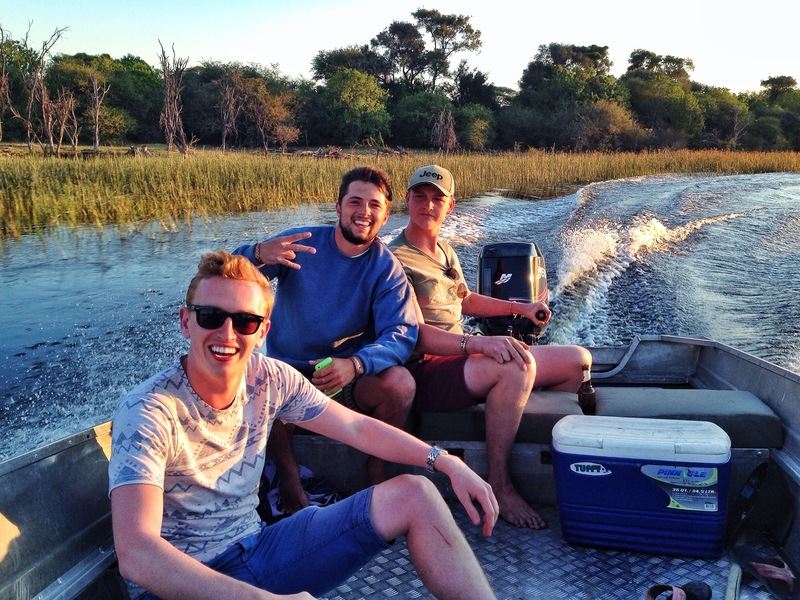 I was picked up via boat by Blythe, Hugh and Matt who work at the River Lodge. This is where I managed to fall into the crocodile infested waters with both my camera and phone in my pockets whilst Hugh was doing a high speed swerving manoeuvre to avoid a sand bank. Two nights of time in a rice bowl and both my camera is sort of working. 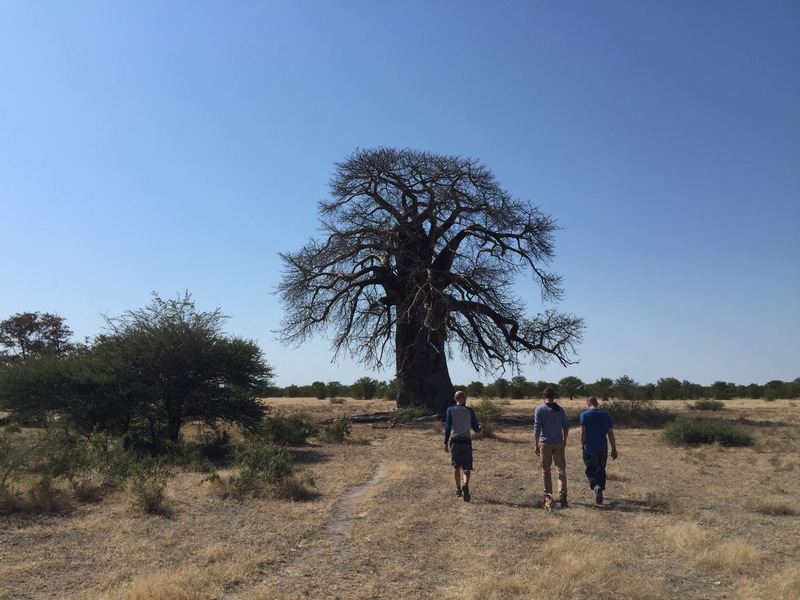 I was invited by two Kiwis, Anna and Natalie to join them on a three day safari through Moremi Game Reserve which is along the Okavango Delta. 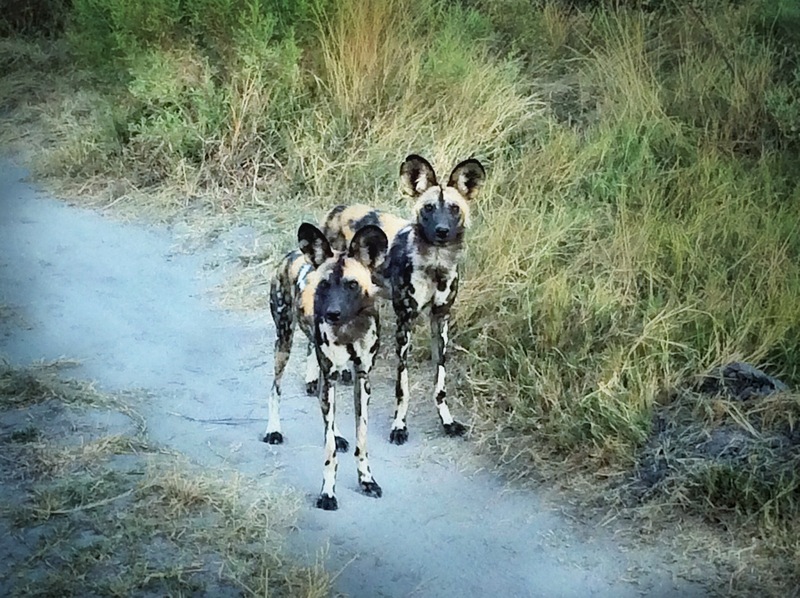 What an awesome experience, we saw wild dogs, a cheetah with her cubs, a leopard that had hung an impala in a tree, an abundance of elephant and we even had a hyena roam through our camp. 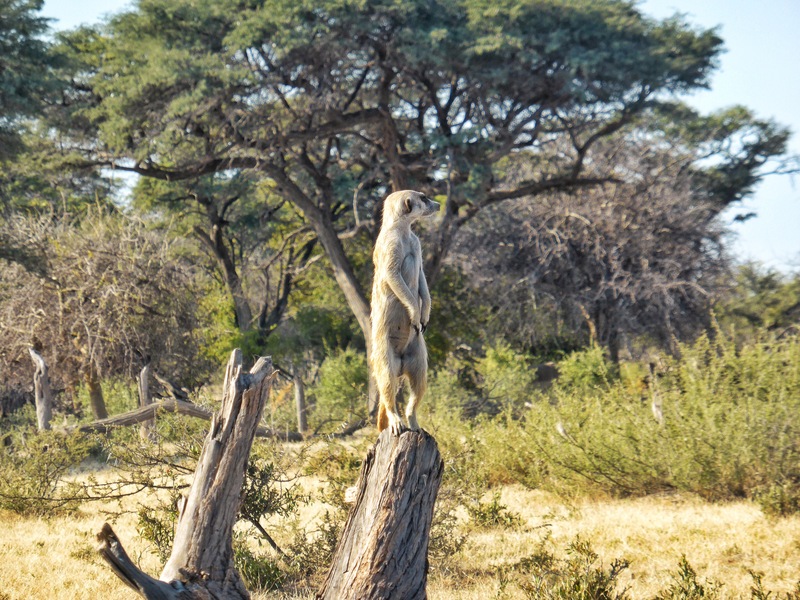 This place must be voted as the best game viewing in the world! What lovely and generous people out there, fabulous scenery once again .